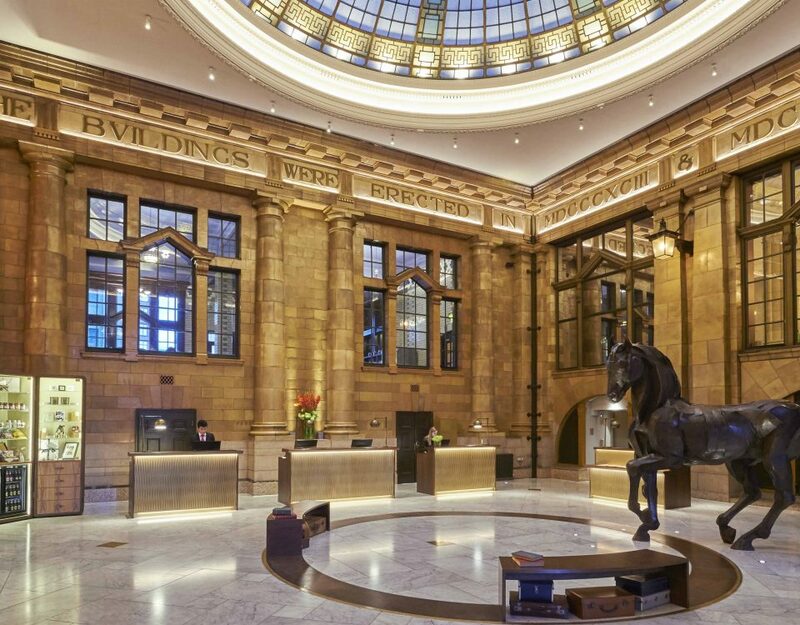 5* Hotel, The Chester Grosvenor, has completed a £350,000 refurbishment on its all-day dining restaurant, La Brasserie, creating the city centre’s most exclusive Champagne and Cocktail Bar. 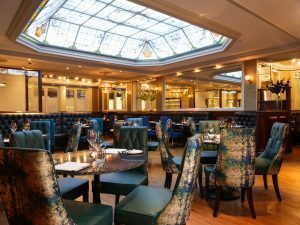 Being a firm favourite on Chester’s dining scene for over 20 years, The Chester Grosvenor’s ‘La Brasserie’ sits at the heart of the city-centre and acts as an unrivalled hot spot for people-watching, a perfect retreat in the hustle and bustle of the city. 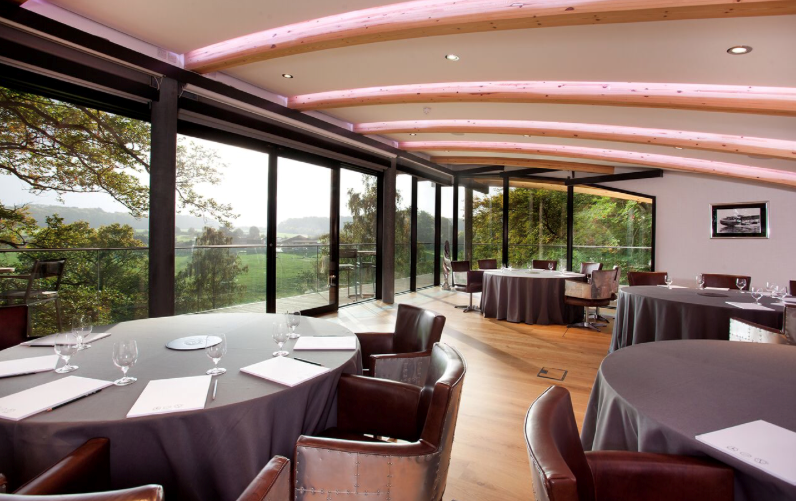 Keen to maintain its reputation as an impeccable dining venue but wanting to introduce a contemporary feel, the restaurant has recently undergone a beautiful, art-deco inspired £350,000 redevelopment. An exquisite range of carefully selected feature fabrics introduces a subtle injection of colour that seamlessly compliments the painted glass skylight, a unique feature of the space. 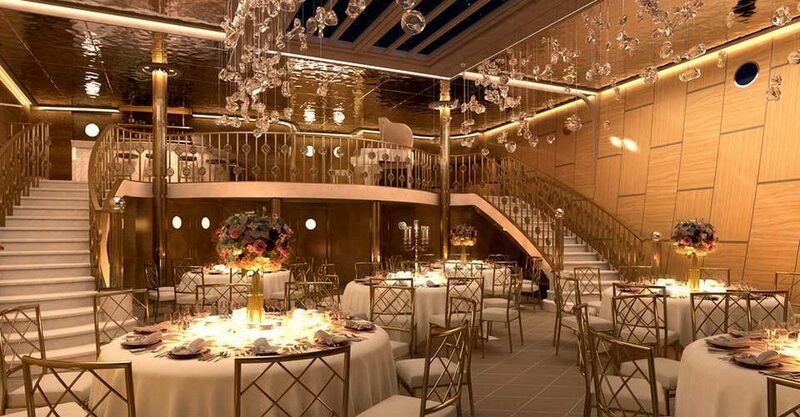 The design also includes two 3D, bespoke art installations made from laser cut gold metal leaves, intricately placed as if growing freely throughout feature areas within the bar & restaurant. The refurbishment has not only brought with it sumptuous, modernised interiors, but a brand new and bespoke brass and quartz Champagne and Cocktail Bar that sits at the heart of La Brasserie, stocking a unique selection of Champagne, spirits and cocktails. 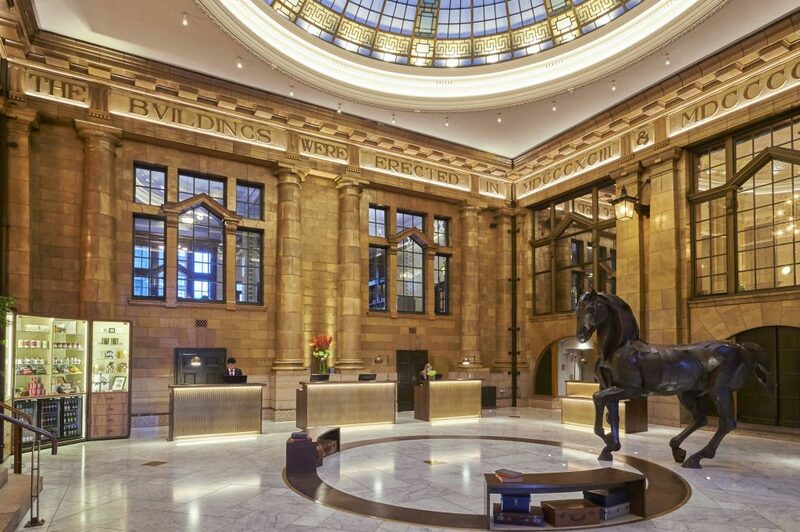 General Manager of The Chester Grosvenor, Richard Grove, comments: “We are delighted to announce the reopening of the all-new and breathtaking La Brasserie. With the brand-new look comes the stunning Champagne and Cocktail Bar with arguably one of the most opulent drinks list in the city, as well as a stunning new food menu created by Head Chef Gareth Jones and his team. Alongside newly launched lunch and dinner menus, La Brasserie will also be serving brunch daily from 11am, featuring such dishes as smoked salmon and scrambled eggs on buttered crumpet, molasses baked ham with poached egg and hollandaise on a toasted muffin and delicious Danish pastries, which are baked fresh each morning in the kitchen’s bakery section. 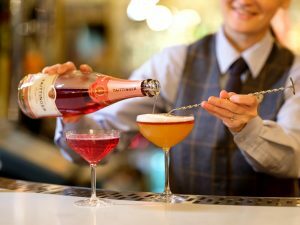 A new cocktail menu has been launched together with the new Champagne Bar, serving such creations as ‘The Duchess’, which features dark rum, elderflower liqueur, mint, sugar, topped up with Champagne and the quirky ‘Toblerone’, which consists of chocolate liqueur, whisky cream, Frangelico, honey and cream. For more information, visit https://www.chestergrosvenor.com/dining/chester-brasserie.